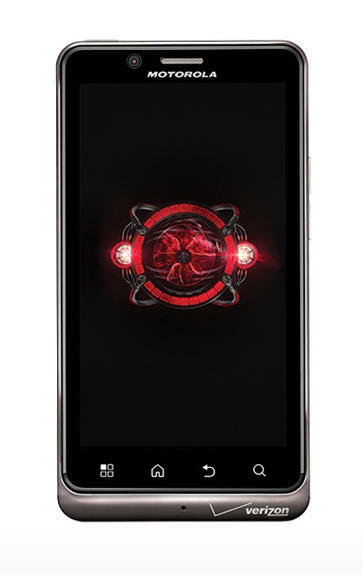 Here ye, here ye — Please note, tech fans, that the Droid Bionic has finally, finally landed on Verizon. 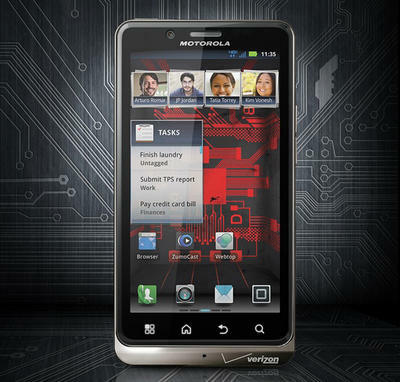 Moto’s long-awaited 4G LTE Droid Bionic puts a dual-core 1 GHz processor, 1 GB RAM in your hands, and 4.3-inch qHD display, all in a svelte, supermodel-thin form factor. As far as specs go, this is no slouch, but that’s not the most stunning aspect of this debut — it’s the accessories. Also available is a compatible HD Station, which lets users view pics and media on any HDTV or monitor. Just hook up your own HDMI cable, and you’re viewing your device’s multimedia stash, streaming content or webpages on the big screen. 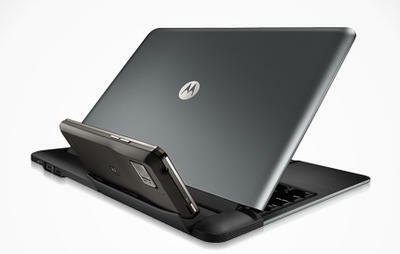 Or pick up the Lapdock, and turn the phone into a laptop with a 11.6-inch screen, keyboard and trackpad. I was hoping this Lapdock would be less than AT&T’s debut price, but it’s actually on par with it, at $299.97. (At least there’s a limited time mail-in rebate of $100, with the Lapdock and a qualifying data plan.) Other accessories include a Vehicle Navigation Dock ($39.99), Battery Dock with extra battery ($49.99) and an Adapter for Webtop Application ($29.99). The HD Station is priced at $99.99. Not interested in accessories? 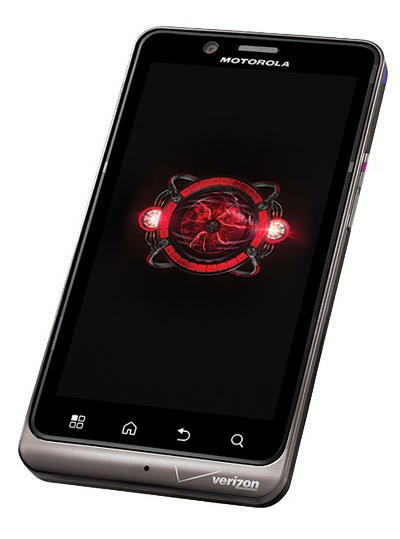 Then you can pick up the Droid Bionic alone for $299.99 (with two-year contract). What do you think? Does it look to you like it’s worth the whopping sticker price? Check out the pics and the press release (below), then tell us what you think in the comments. 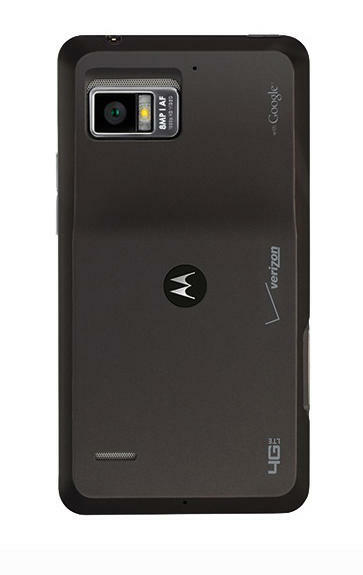 BASKING RIDGE, NJ, and LIBERTYVILLE, IL — Verizon Wireless and Motorola Mobility, Inc. (NYSE: MMI), today announced DROID BIONIC™ by Motorola will be exclusively available beginning Sept. 8. •	DROID BIONIC by Motorola will be available in Verizon Wireless Communication Stores and online at www.verizonwireless.com on Sept. 8 for $299.99 with a new two-year customer agreement. •	Customers will need to subscribe to a Verizon Wireless Nationwide Talk plan beginning at $39.99 for 450 minutes per month and a smartphone data package starting at $30 monthly access for 2 GB of data. •	Verizon Wireless Mobile Hotspot data plans are available beginning at $20 for 2 GB. •	For a limited time, customers who purchase a Lapdock with the DROID BIONIC can receive a $100 mail-in rebate when subscribing to a $50, 5 GB data plan or higher. •	The Lapdock will be available for $299.97, the HD Station will be available for $99.99 and the Adapter for Webtop Application will be available for $29.99. •	Vehicle Navigation Dock delivers easy access to maps, favorite contacts, hands-free calling, music, navigation and more and supports streaming of audio and music via the 3.5 mm audio jack, if available, to play through vehicle speakers. The Vehicle Navigation Dock will be available for $39.99. •	The Battery Dock with standard battery is a pocket-sized accessory with an extra battery included to charge both DROID BIONIC and an extra battery at the same speed as a wall charger. The Battery Dock will be available for $49.99.